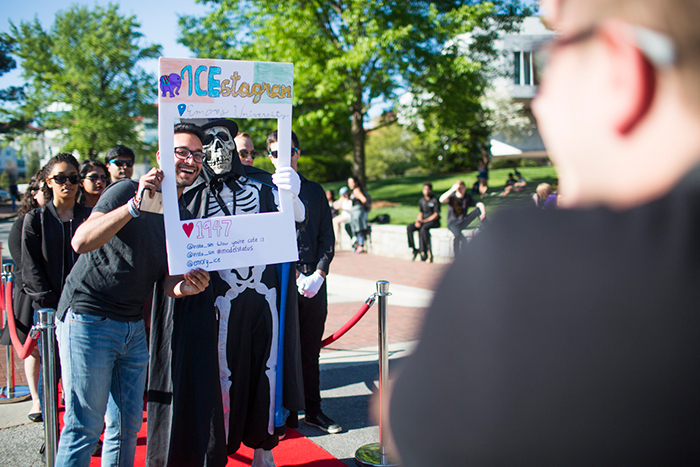 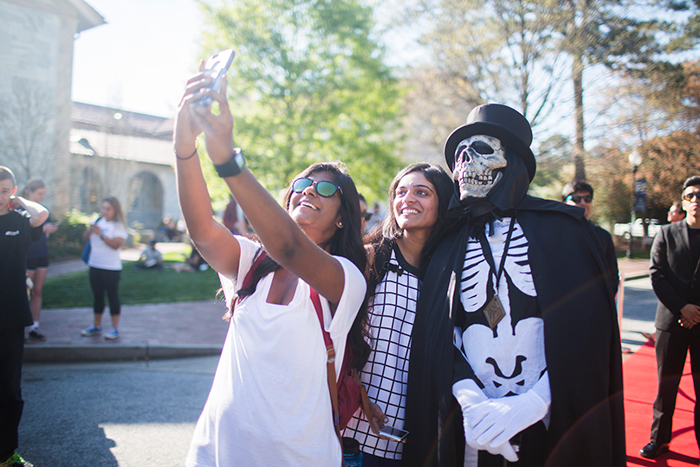 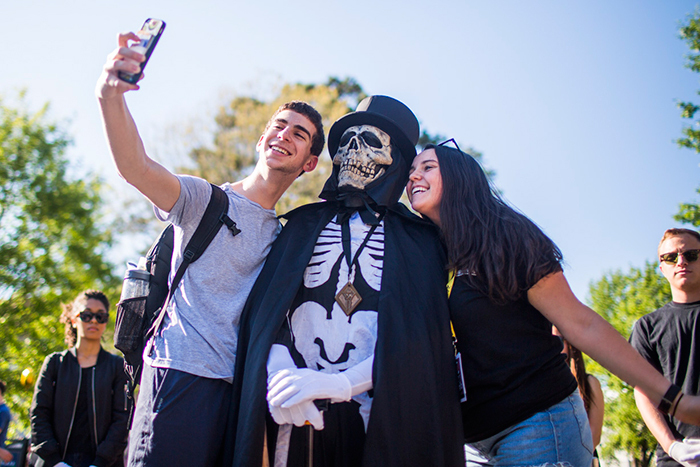 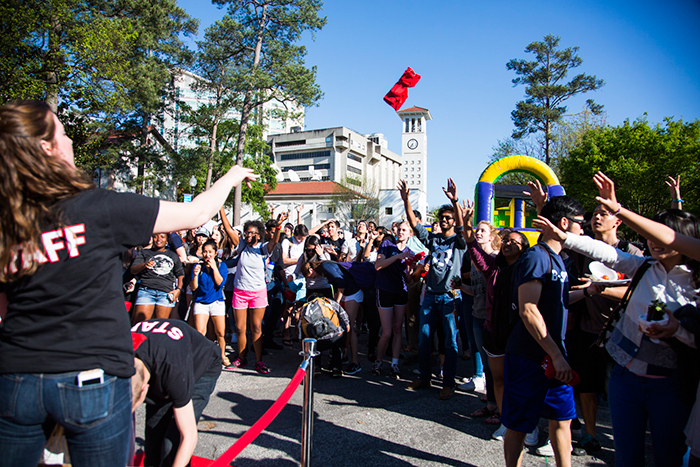 Emory's unofficial mascot rose from the dead to walk the campus on Monday, kicking off the annual celebration of Dooley's Week. 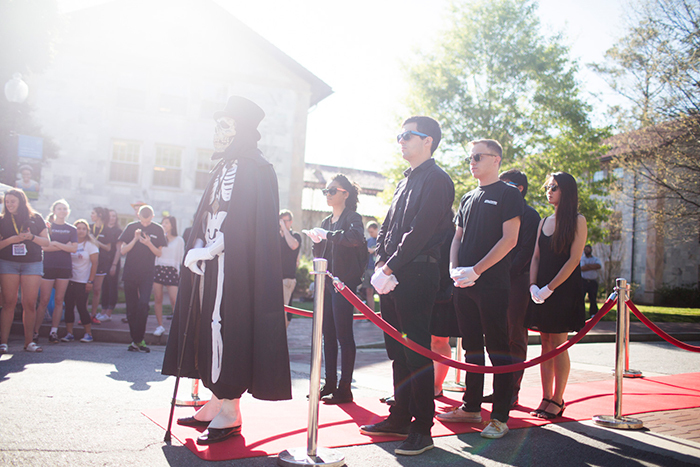 Accompanied by his black-clad entourage, Dooley, the skeletal Lord of Misrule, heralds a week of activities based on this year's theme, "Dooleywood." 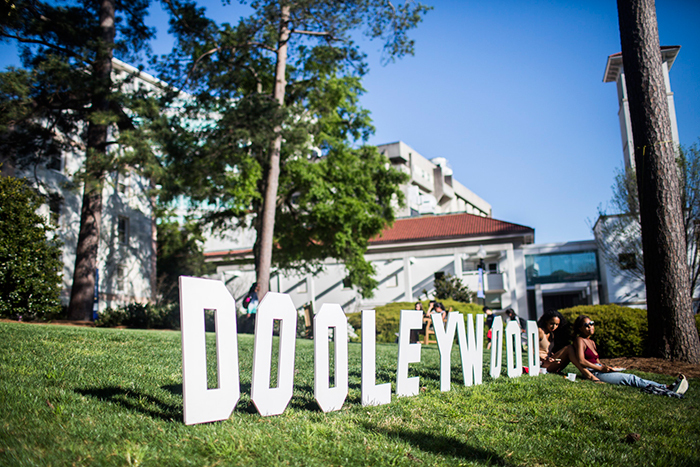 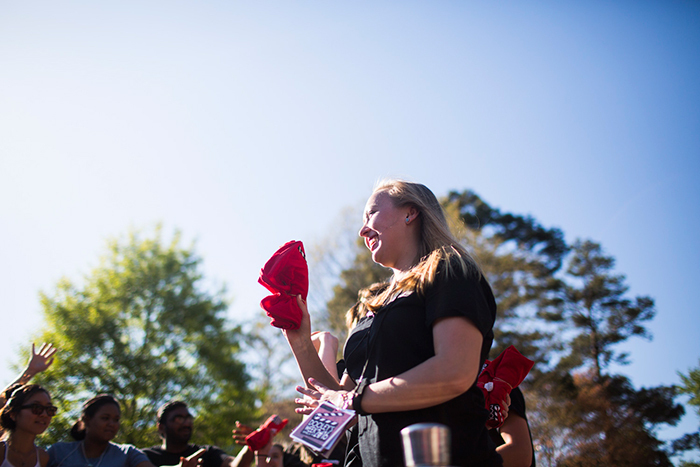 "During this event we will have a limo stationed for photos, King of Pops, popcorn, food trucks, as well as a station to create your own flip books," says Dooley's Week co-chair Emily Warner, 17B. 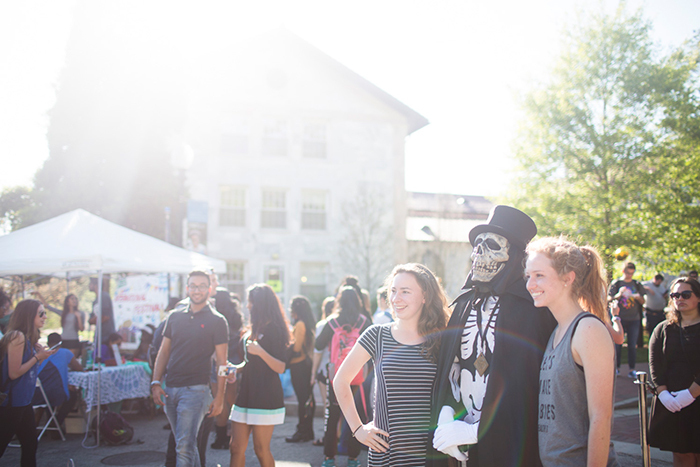 The Latino Student Organization hosts "Noche de Máscaras" from 10 p.m. to 2 a.m. in Cox Hall Ballroom, bringing the community together to celebrate Latin culture with dancing, great desserts and a general good time, says Bessie Frias, 18C.